Obsession usually bookends love. It's there when one person first decides they have to have more of someone. And it's there when one person can no longer be possessed: when their face drowns out any other image in the mind; when their voice lingers in the darkness; when, at the end, the loss consumes you. 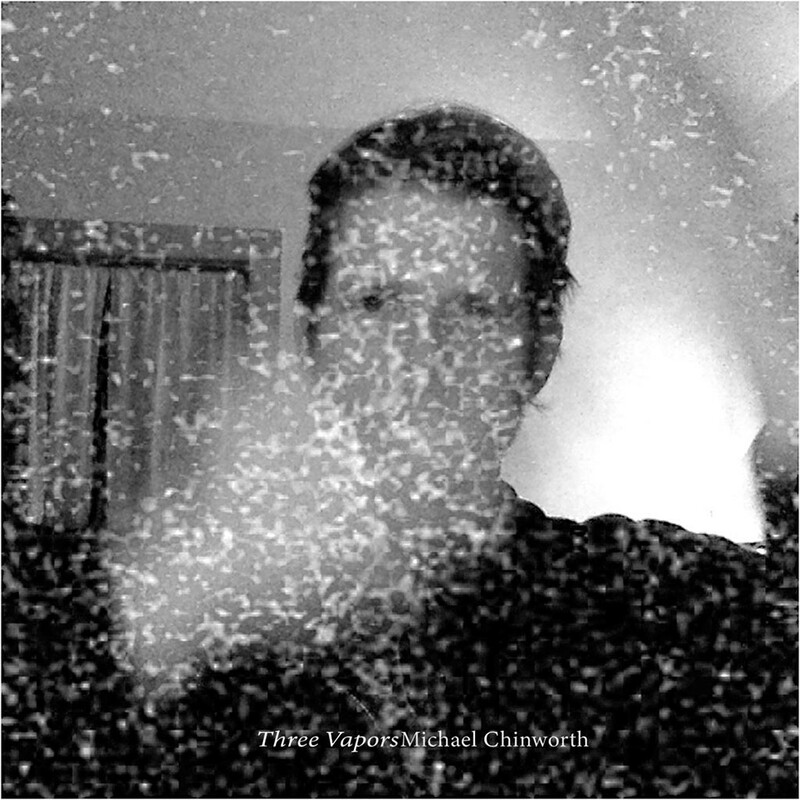 Vermont-based experimental musician Michael Chinworth has set his creative eye on obsession born from a severed relationship on his latest EP, Three Vapors. The Bennington College professor and performance artist employs a blend of pop sensibilities with a sort of bottled experimental curiosity to create three odd, hybrid tunes. "Maybe loving you was as good as it gets," Chinworth sings in a plaintive tone on the opening track, "Good as It Gets," as a bed of samples connects like latticework beneath a gentle piano progression. As a songwriter, Chinworth showcases a special gift, which is the ability to take simple pop concepts and pull at them like taffy until the original intention is all but unrecognizable. With heightened emotional attentiveness, he attempts to turn loss, and the ensuing obsession, into a more mundane emotion, with seemingly mixed real-life results. "Fugue" steps further into experimental territory than the preceding track as Chinworth lets his obsession become unchained, no longer attempting to normalize it. Layered vocals blend together one moment and jar against one another the next. As he sings softly about holding water — as in, his now-fruitless love — a looped, almost-panicked voice comes and goes, bleating out lines such as "I look at you, don't look at me!" and "I lose my mind." The record's title, Three Vapors, comes from an older connotation of the latter word, where a vapor can be "a state of emotional agitation or hysterical obsession," according to Chinworth in the album's notes. Each track in turn is a separate vapor, a different take on a different obsession, though it feels like each obsession is really the same one. Throughout the ambient music and soft keys and pulsing noises that orbit his songs, Chinworth doesn't bother to hide any part of himself — a commendable choice. Many other artists use experimental and ambient sounds to obfuscate, but on this record the artist chooses to use those aesthetics as flashlights on his own heartbreak. Chinworth unspools his feelings throughout the album, gradually letting them break down into pure experimental music by the last song, "iiVIIViiVi (since you went away)." A gorgeous, glassy keyboard figure grounds the tune, but its architect uses that basis to launch attack after attack of frantic synth work, creating a sort of ticking-clock stress. The effect is meant to duplicate that sensation of a change finally being accepted, when the stress of a fixation with someone exhausts itself and finally falls silent. It is an experimental pop ode to falling out of love. Three Vapors is a terse, raw but sonically complex EP that comes and goes in 20 minutes, yet leaves a strong emotional residue. Find it at michaelchinworth.bandcamp.com.